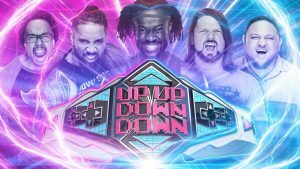 Wrestlemania 35 Weekend Results Spoilers for the First-Ever Up Up Down Down Champion Crowned follows. 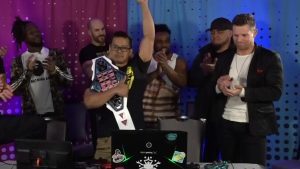 After an unbelievable Tournament Finals live stream, WWE costume designer Mikaze, aka Mr. Castle, was crowned the first-ever UpUpDownDown Champion! The UpUpDownDown Championship Tournament Finals streamed live Thursday night as Kofi Kingston, AJ Styles, Samoa Joe, Jey Uso and Mikaze battled it out to earn the distinction of becoming the popular gaming channel’s first champion! 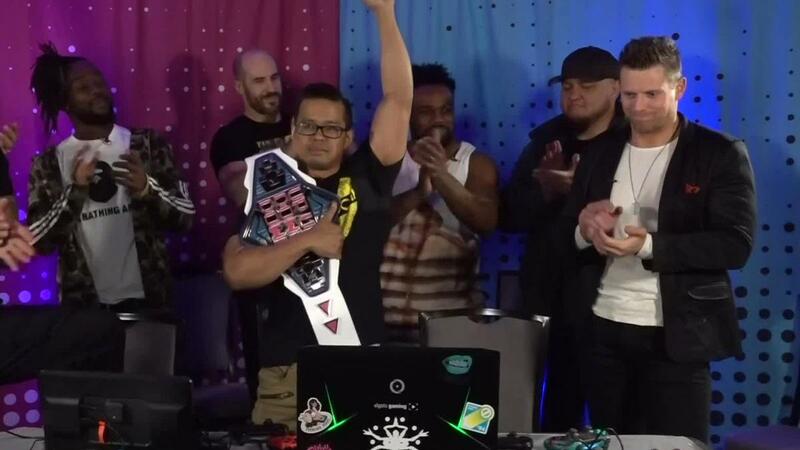 Mikaze won the tournament, but could not celebrate for long as The Miz immediately swooped in to challenge the champion in a game of “Tetris.” In the end, Mikaze was able to hold off The A-Lister and remain champion after a crazy turn of events. Relive the incredible championship win in the video below. There’s even a championship belt. 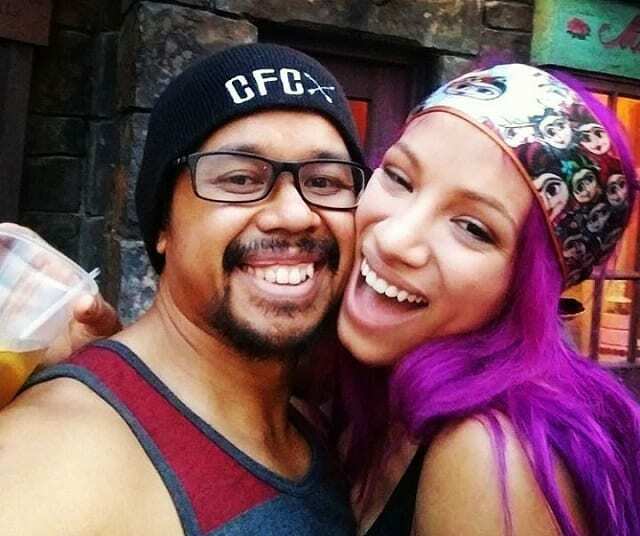 Mikaze is best known as WWE Superstar Sahsa Banks’ real-life husband.